Shanti is a tiny hamlet designed on primitive lines with basic self contained 39 mud huts with modern amenities and the elephant village trip is part of it. Shanti is a tiny hamlet designed on primitive lines with basic self contained 39 mud huts with modern amenities. She is located in the core of the 240 sq kms Bhagwan Mahavir Wildlife Sanctuary enclosed within an elephant camp. Nature lovers can stay at Shanti and enjoy the activities such as elephant and bullock cart ride, nature walk in the dense jungle or the tribal village, the spectecular elephant show, photograph, feed and swim with them or busk in the silence of the jungle. 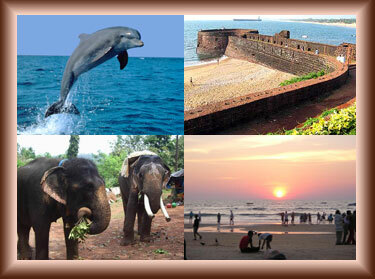 A Highly recomended action packed overnight trip takes you along the spice route into the jungles of Goa. Your trip begins with a tryst with nature and her better know side of herbal remedies and spices. A plantation visit is followed by a traditional Goan lunch and what a delightful surprise it gives you. 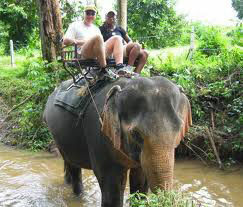 As the experience unfolds, elephant and bullock cart rides enthuse you. With glee you participate in elephant showers, rubs and swims! A traditional village visit, night walks and more!! 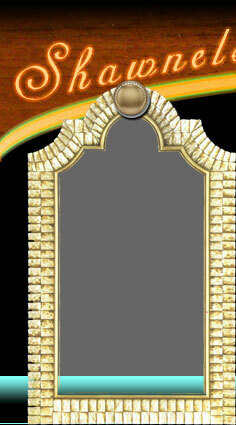 The elephant extravaganza, will stun you with facts and action! The meal is a walk, through a forgotten culinary dining experience of yester years. The day ends, with a once in a life time, campfire experience. The early morn brings you new life in a pleasing walk to a spectacular waterfall in the heart of the jungle. Unwind from this adventure, into the real and relaxing world of Yogic postures and breathing techniques. Breakfast and lunch, remind you that time has whizzed by and you have to leave for your resort, back to the concrete creations of mankind. If time and will permits, grab the opportunity of a few extras for a minimal charge. A massage, candid photos, elephant paintings, T-shirts and carved miniature elephants.